Laurel A. Wineinger, 78, Topeka, passed away Saturday, November 3, 2018. Laurel was born April 6, 1940, in Topeka, the daughter of Albert and Anna L. (Wiscombe) Nichols. She graduated from Highland Park High School in 1958. She worked as a Real Estate broker for over 40 years. She attended Cornerstone Community Church, and was a member of the Topeka Civitan Club and the Topeka Association of Realtors. Laurel married George Tipton in 1960. She married Dean Wineinger on April 25, 1997. He survives. Other survivors include son, Douglas (Susie) Tipton, Maynardville, TN; daughter, Julie (Brian) Tipton-Weis, Topeka; granddaughter, Megan Weis; step-son, Jim (Randi) Wineinger, Ames, IA; step-daughter, Ginger (Dean) Ward, Lakeville, MN; and step-grandchildren, Brett and Cale Wineinger, and Evan and Allison Ward. She was preceded in death by her parents, and her first husband, George Tipton. 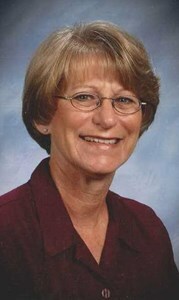 Her hobbies included Pickleball, photography and traveling with her husband Dean in their motorhome. Cremation has taken place and Memorial services will be held at 10:00 a.m. on Saturday, November 10, 2018 at Dove Southwest Chapel, 3700 SW Wanamaker Road. A reception will follow the service. Memorial contributions may be made to the YWCA Center for Safety and Empowerment. Add your memories to the guest book of Laurel Wineinger. I am so sorry I am not able to come to the service. Have a very bad cold. My prayers are with you Dean and so sorry for your loss. Laurel was truly a gifted soul. Her time with us was way to short. Our Cornerstone Community family weeps for you Dean. I remember Laurel found out that my favorite pie was raisin pie. So every year on Thanksgiving and Christmas at CCC she would make me one from scratch and put it on the serving table. She would tell me that whatever was left over I could take home knowing full well that the whole pie would be left for me........which it always was. She never forgot. Never . Laurel loved life the way I can only envy. If there is anything I can do Dean for you don't hesitate to reach out. 3125glg@gmail.com.........so sad........such a beautiful person.........she is going to a beautiful place.........that is assured. Sharon and I just recently arrived at Palmcreek a few days ago.We so very sorry to learn about Laurel’ passing. We are so sorry for your loss. We will not be able to attend Laurel's memorial service so we wanted to let you know you are in our prayers. God bless you, Dean, for how you took such good care of Laurel. It's good to know she is with the Lord with no more pain and suffering. We are so sorry to learn about Laurel's passing. Our thoughts and prayers are with you in this difficult time. Please let us know if there is anything we can do to assist you at any time. Bless Laurel. She will be missed. Our real estate family enjoyed many decades with you and Laurel-- so many memories. I am sorry for your loss. She resides with the angels now and is without pain or discomfort. She awaits her loved ones. Laurel and I have been friends since 1st grade. We shared many memories and remained friends throughout for 72 yrs/ meeting at the class reunions. My utmost sympathy to the family. We all know she is without pain now and resting in peace. Laurel used to cut my hair in highschool. She was an absolute gem. So sorry to hear of Laurels passing. Please pray with me. . .
Julie and family, we are so sorry to hear the loss of your mother. Our thoughts and prayers are with you.